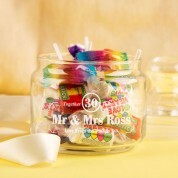 If you are looking for a unique gift for a couple celebrating an Anniversary, then check out our retro sweetie jar! 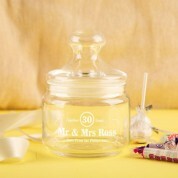 It mimics an old Sweetie Shop glass container and comes complete with a handy lid. We personalise and laser engrave it in house. 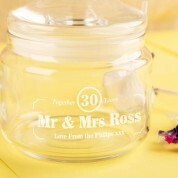 It features the Anniversary year, the couples surname and a short personal message, giving the gift an extra personal finish. 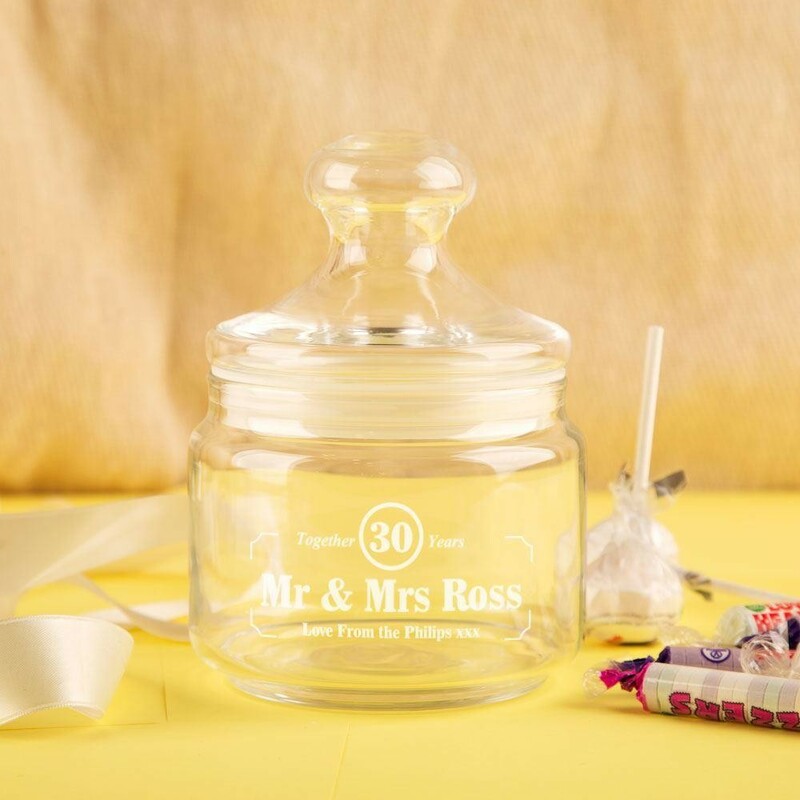 Fill it with sweeties of choice (we recommend Love hearts for the occasion!) Once they have shared the treats, they can refill it or use it for storage. This will make a timeless gift and will suit any rooms décor. Height 80mm, Base 105mm, Rim 94mm.